And because they are always hanging out drying, they might as well be great looking. The two blue towels above are from Nouez-Moi in Paris, and they are already eight years old, but they still look fabulous. They are thick and thirsty and seem to be almost impervious to sun and mildew—of course, we are good about hanging them out to dry and air. 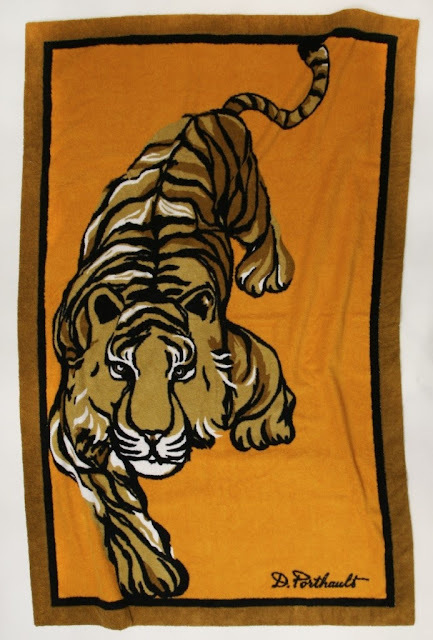 I love these towels—I have lots of them and I basically use them at my pool. I also love towels that are trimmed—such as these which were trimmed with washable ribbons in blue and green and then personalized with our house name to match. Our store, Leta Austin Foster Boutique, is always making up special beach towels for people to use around their pool. They are often made up, as are the Nouez-Moi ones which I showed in the first picture, in beautiful colours and edged around the outsides with broad bands of white. These can be plain or with scallop shell seashore embroidery. 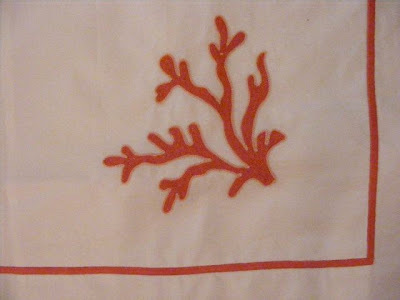 Or they are piped on the outside with either white or coloured piping and have a beach-y motif such as our double seahorse or perhaps big branches of coral or a line of starfish. 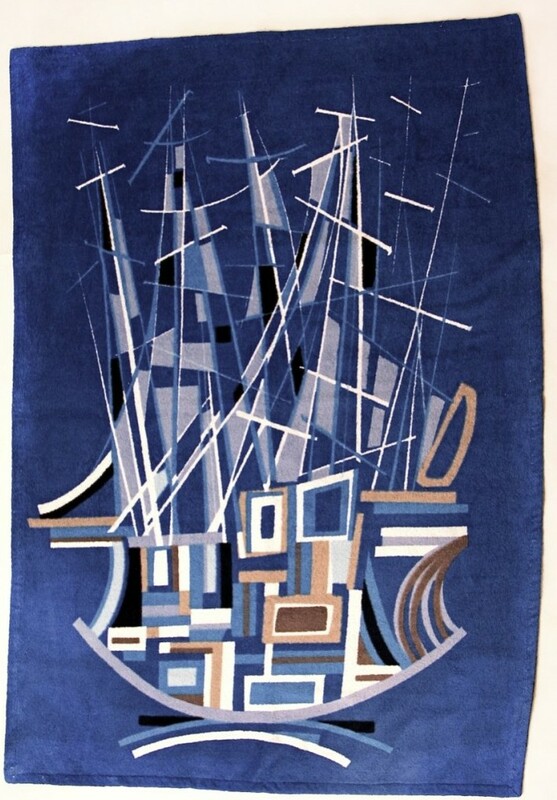 We usually do this in colours and pipe them in white, and they go flying away from us to places like Southampton or Nantucket or even Lake Forest or Santa Barbara—people love beautiful beach towels. But all of these are frankly expensive and thus, perhaps better for one’s pool or one’s own private beach. Maybe for the beach, just the regular old beach, you might be better with beach towels which are quite so…..so….well, which are cheaper. 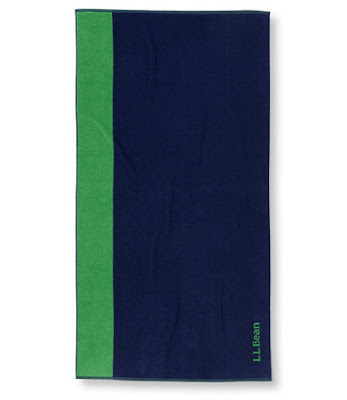 Look at this great looking beach towel from L. L. Bean—nice, preppy colour combinations. And at $29.50, you can’t go wrong. 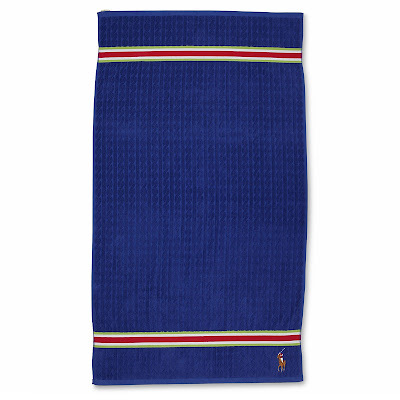 And, of course, Ralph Lauren/Polo, the ultimate preppy source, would have such a good looking towel as this “Cable Beach” towel, available at Bloomingdale’s for $86.00. 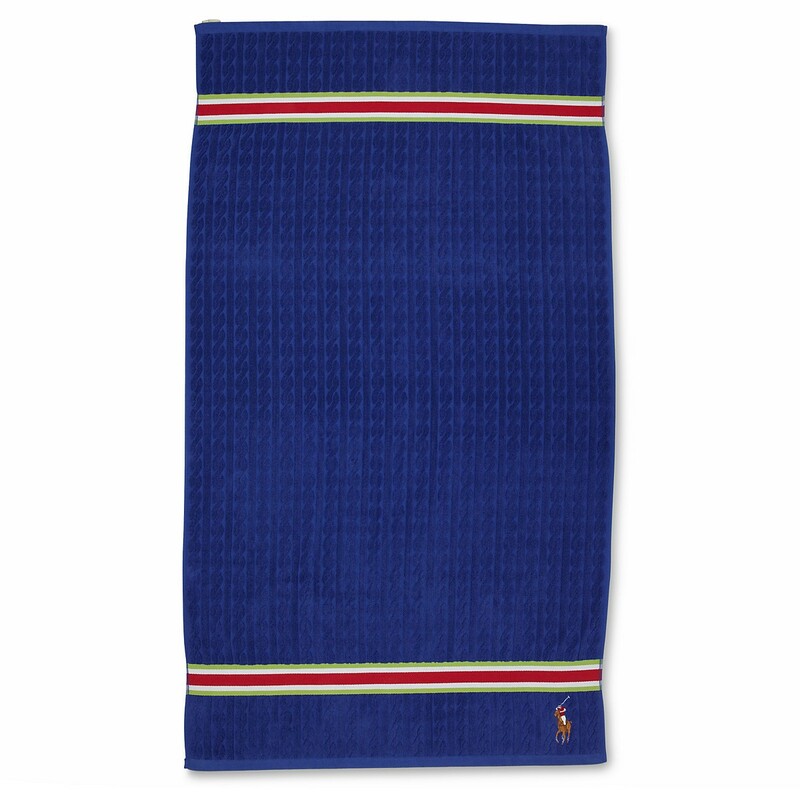 Or go directly to Ralph Lauren and buy the “Ticking Stripe Beach Towel.” Great looking, and the thing about Ralph Lauren is….it will be on sale somewhere. 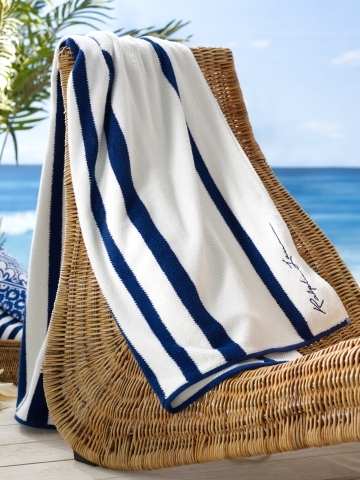 I love striped beach towels—they seem so “Lido-in-the-20’s” somehow. 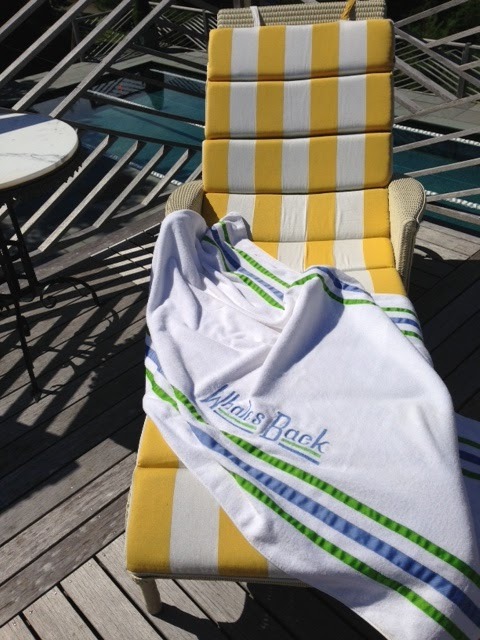 We are getting aqua and white striped beach towels for our redo of the Hillsboro Club in Hillsboro Beach, Florida, and we found great ones, made in Turkey—well, why not? After all, they are called Turkish toweling. They are from Cobra Trading and look at all the colours they come in—but the awnings at the Hillsboro Club are aqua, so that’s the combination they want for their beach chaises and the towels around the pool. 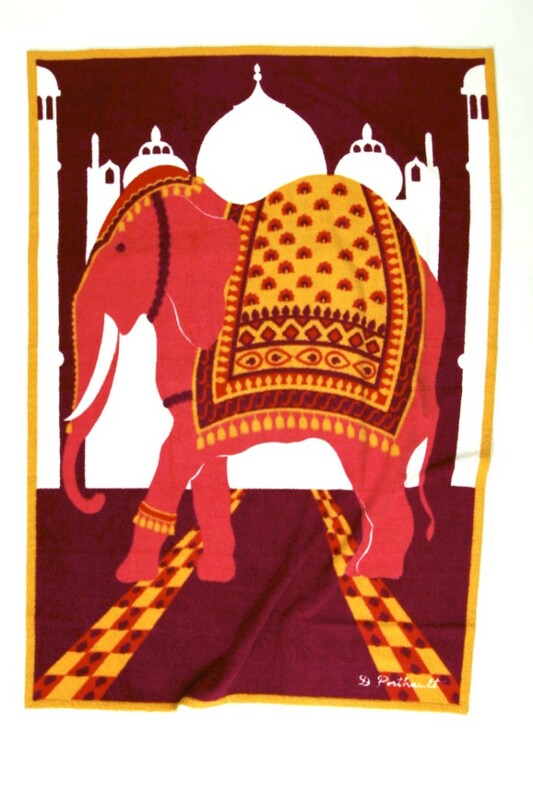 Thick towels keep you warmer when you dry off, but they take longer to dry. All towels last longer if you don’t wash them all the time, so after using one, hang it up and let it dry out. That goes for all towels. Don’t use a fabric softener when you wash or dry your towels because it makes them less absorbent. That also goes for all towels. 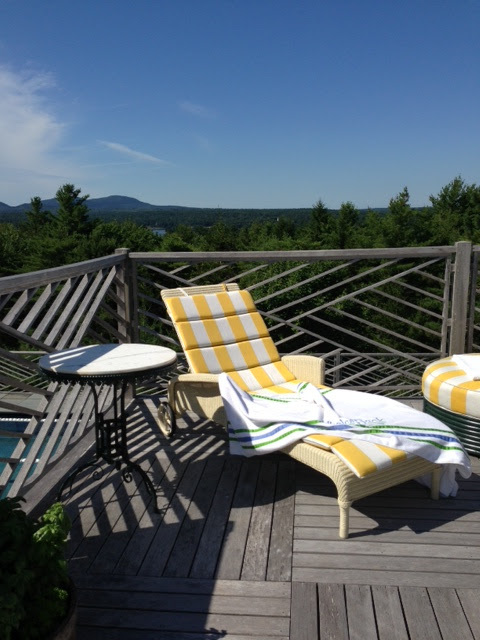 Beach and pool towels look great folded on the feet of chaises. 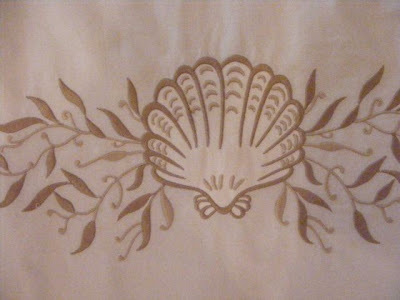 If you plan to do this and want to have a decorative motif or house name embroidered on your towels, make sure you go it at one end so that this embroidery will show. Sun block stains, so it is better if you put a towel out before lying down on a chaise—this goes doubly so for chaises with plastic strapping or mesh which discolour badly from the combination of sun-block and sun. Your towels will get washed more than your upholstery, so they are less likely to stain, but even so, it is cheaper to replace a towel than it is to reupholster. As with any towels and bedding, the less detergent you use—and the milder—the longer your towels will last. Try “improving” your detergent—hopefully, an eco-friendly one which is kinder to your linens while it is being kind to the environment—with an addition of Borax (remember “Death Valley Days” and 20 Muleteam Borax—I guess I am dating myself again—only an eighth of a cup of each and your laundry will be clean as a whistle and will last much longer. If you can, keep the washing water as cool as possible. Never let your towels stay in the dryer longer than they need—the very long high heat shortens their lives immensely. Or any of their designs. 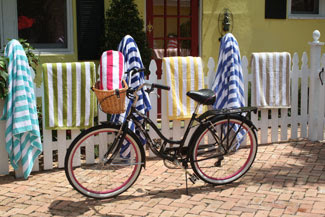 Beach towels are for the pool and the beach and for fun. Go have some. Thank you for mentioning the tip about forgoing the fabric softener. There is nothing worse than a beautiful towel ruined by that water-repellent, artificial film and smell from fabric softeners or dryer sheets! Loved this post! You always manage to cover all the information so well, and I flipped out over the tiger from Porthault- of course, I always like everything you show. I could see making up some pillows out of the tiger, by folding them in half- it owuld give some of that Hermes' horse blanket flair- keep it coming Leta!